Material takes the important position in product design. In terms of material selection, designer need to comprehensively consider the use of material character, process performance and use of material economy to final choose the most suitable material. After the design is completed, the model needs to be represented. So what materials are used to make the product before prototype design? we believe that we have to further consider this issues, Creatingway will take this blog to share main points to you. 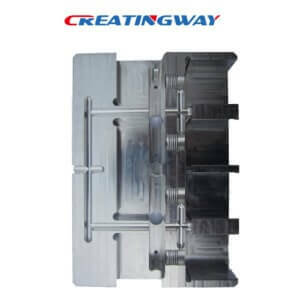 Creatingway have a very rich experience in CNC machining manufacturing for various industry product, we will see what kind of products are you looking at? What are the properties of your designed product? The followings are the very things we always keep in mind to provide our best solution for you. In order to choose appropriate material to your prototype design, we have to further consider many factors from product concept, design, cost, performance till final marketing location. So many times, most of design and engineers will finalised product specification after prototype design and making. To consider whether the design and your request material is suitable for which machining process like CNC machining manufacturing or Plastic Injection mold, or Sheet Metal Fabrication, Casting etc, Can this material meet the batch production requirement? If it is a good drawing design, one time’s sample test will be enough. Or else its waste time on repeatedly modify. So we have to consider whole things from prototype design, making, modify till final product specification setting up. The production cost is a very important consideration in the actual work. See what’s your design purpose, only need a prototype, or exhibition/ function test, or for mass production? For different purpose/performance, plastic material with 3D printing/vacuum casting or stainless steel/aluminum CNC machining, etc are affect your budget a lot. Many different factors will affect product cost, design, material, standard, and we also have to compare the others competitors cost and product quality standard. If you design is for long term using, the design materials should be considered for durability. In combination with the product structure, whether the chosen material is high durable and to what extent the service life of product can be achieved. So when our design makes this design, we have to consider this product purposed what you will expect to get by this product, then we know what kind of material we will suggest to get common price but not very high. Like one of our customer in NL, they asks us to make one coffee prototype in PC and Aluminum material, he only want to make this product feature and function testing out, so we have recommended common PC and aluminum 6061AL, but no FDA level, Of course, if they want to do production FDA testing out, we will have to find FDA material for production. But at this prototype design stage, we think that the common material is enough, so we have save development time and production cost. Since we know that most of these special requirement material has MOQ, and cost is several times, this will lead whole cost higher which even exceed your budget. But difference, if we will do mass production, whole cost is apportion to whole product, so unit cost is lower, we can make them based on different standard included FDA etc. Product design should be considered in terms of product function, appearance, process, material, design psychology and so on. When you have a design, if you want to create the prototype and into market in the long run, overall considering the comfort of product materials, it determines the popularity in market. Consider the above to choose suitable material, it will be a great help for prototype creation. Creatingway also can give you some suggestions when have a review of your PDF/3D drawings, and offer different solution to come true your products CNC machining, sheet metal fabrication, injection mold or 3D printing. Also, our design and engineer will use what material, they have to discuss with our marketing guy, since they know what marketing they want. If the product design will high marketing, maybe they will use better marketing, and cost is higher. But this is common marketing, maybe we need to try common materials for testing out. This is very important to our material choose before product specification.